HAVE YOU OR LOVED ONES BEEN IMPACTED BY THE NORTH BAY FIRES? DON’T PAY FOR THE WRONGDOING OF OTHERS! First of all, to all of those who have been affected by the North Bay fires, you are in my thoughts and prayers. As someone who was born and raised in the Bay Area, my heart breaks for you and your families during what is sure to be one of the most trying times in your lives. 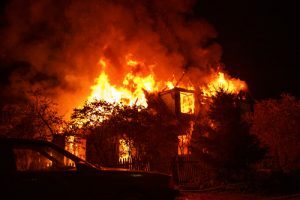 All the fires seemed to ignite between midnight and 2:00 a.m. on Monday, October 9. Sonoma County dispatchers sent fire crews to at least 10 locations for sparking wires, exploding electrical transformers, fallen power lines, and other electrical problems beginning at 9:22 p.m. and spanning over a 90-minute period on Sunday, October 8. PG&E acknowledged problems with its electric lines stemming from Sunday night’s high winds. In April 2017, PG&E was fined $8.3 million for failing to maintain a power line that resulted in a massive fire in Northern California, the Butte Fire, in September 2015. The California Public Utilities Commission levied the fine for poor tree maintenance, which is the responsibility of PG&E and for PG&E’s failure to report that one of its power lines might have started the fire. In 1994, PG&E was found guilty of 739 counts of negligence and fined nearly $30 million by state regulators when trees touched its high-voltage wires in Nevada County sparking a fire that destroyed 12 homes. Afterward, prosecutors found that PG&E had diverted nearly $80 million from its tree cutting programs into profits. IF YOUR HOME HAS BEEN DESTROYED OR YOU OR A LOVED ONE HAS BEEN INJURED AS A RESULT OF THE TRAGIC NORTH BAY FIRES, WE HAVE RESOURCES IMMEDIATELY AVAILABLE TO HELP YOU AND YOUR FAMILY. WE CAN ALSO PROTECT YOUR LEGAL INTERESTS AND HELP YOU BEGIN THE PROCESS OF REBUILDING YOUR HOMES AND YOUR LIVES. PLEASE CONTACT RIBERA LAW FIRM AT (415) 576-1600. We are compassionate and experienced attorneys who only represent individuals harmed as a result of the wrongdoing of others. We are currently involved in the Ghost Ship fire case, which resulted in 36 lives being lost at an Oakland warehouse in December 2016. One of the parties that we are claiming is responsible for the deaths of those who perished in the Ghost Ship fire is PG&E. We are here to help you in whatever way we can. Please call Ribera Law Firm at (415) 576-1600 or email sribera@riberalaw.com. *We represent all of our clients on a contingency fee basis, so we only receive compensation if our clients do. We never request that our clients pay a retainer fee or any other up-front costs. All initial consultations for prospective clients are complimentary (free).